WELLINGTON, New Zealand (AP) — Injuries to center Ryan Crotty and winger Rieko Ioane have forced the All Blacks to reshuffle their backline for Saturday's second Bledisloe Cup test against Australia at Eden Park. Hurricanes teammates Ngani Laumape and Jordie Barrett have been named to replace the injured pair. 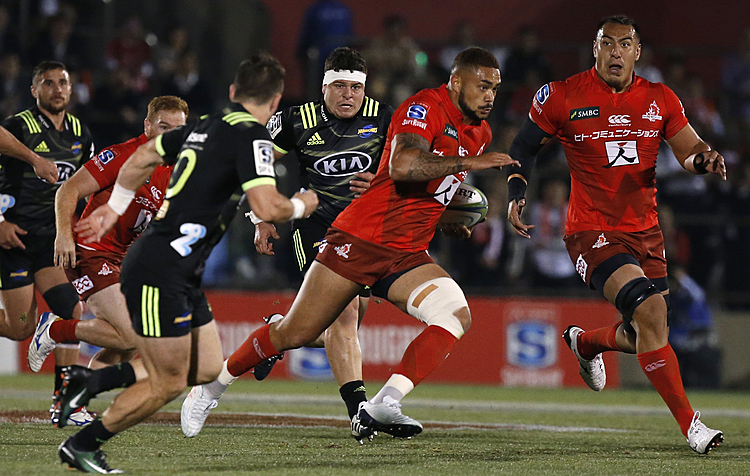 Laumape will make only his second test start in Crotty's place at inside center and Barrett will start at fullback, causing Ben Smith to move from that position to the right wing and Waisake Naholo to move from the right wing to the left. 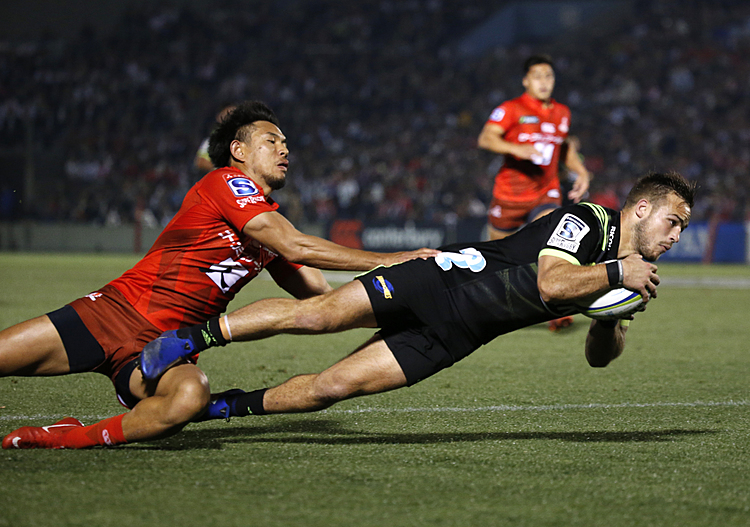 Crotty suffered a concussion during the Sydney test and Ioane a hamstring strain. Anton Lienert-Brown, who replaced Crotty in the 12th minute of last weekend's match and was one of the stars of New Zealand's 38-13 win, remains on the bench. Tighthead prop Owen Franks will play his 100th test in an unchanged forward pack, a week after lock Sam Whitelock reached the same milestone. The All Blacks tight five on Saturday has a collective total of more than 400 test caps. "While last week was a special occasion for Sammy Whitelock, this week it's Owie's turn to join that special club," head coach Steve Hansen said. "He has started 90 of his 99 tests to date which is an incredible achievement for a tighthead prop, one of the most physically demanding positions on the footy field. "His professionalism and dedication to improvement has been an inspiration to other All Blacks for quite some time now. We congratulate him and his family on such a wonderful achievement." Prop Ofa Tu'ungafasi returns to the reserves bench after missing the first test with a shoulder injury, displacing Tim Perry. After its convincing win in the first test, New Zealand has the chance on Saturday to clinch the three-test Bledisloe Cup series and to retain the trophy for a 16th straight year. The All Blacks are unbeaten in their last 41 tests at Eden Park and haven't lost to Australia at the Auckland stadium since 1986. "The team is fully aware that it has the opportunity to close out the Bledisloe Cup series on Saturday," Hansen said. "In saying that, we know that there'll be a massive response from Australia following their performance last week. "Our preparation this week, both physically and mentally, has been all about getting ready to do that. We'll be looking to execute to an even higher level and play at an intensity that will challenge ourselves and our opponent." 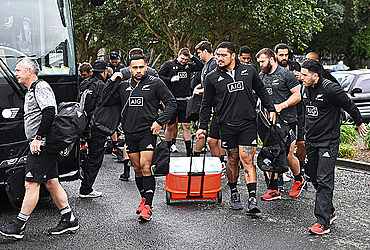 New Zealand: Jordie Barrett, Ben Smith, Jack Goodhue, Ngani Laumape, Waisake Naholo, Beauden Barrett, Aaron Smith; Kieran Read (captain), Sam Cane, Liam Squire, Sam Whitelock, Brodie Retallick, Owen Franks, Codie Taylor, Joe Moody. Reserves: Nathan Harris, Karl Tu'inukuafe, Ofa Tuungafasi, Scott Barrett, Ardie Savea, T.J. Perenara, Damian McKenzie, Anton Lienert-Brown.